Known locally as Wat Arun, Temple of Dawn rises majestically above the Chao Phraya opposite downtown Bangkok on the river's Thonburi side. With its glittering 70-meter spire, the temple is one of the country's, and indeed the world's, most famous landmarks. 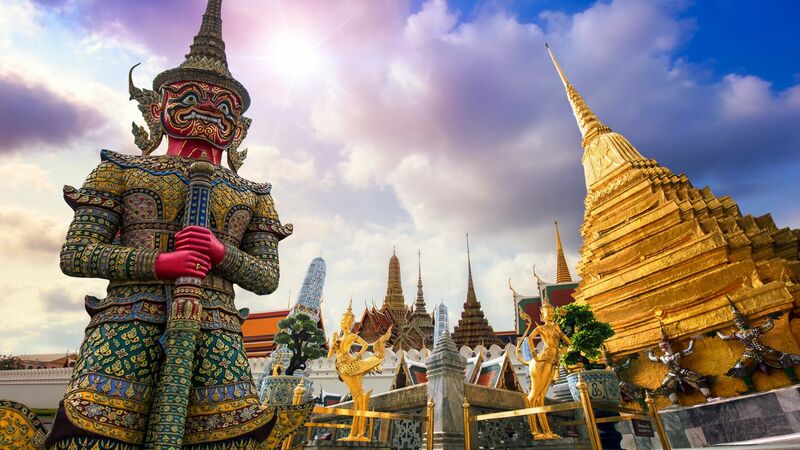 It's also one of the oldest temples in Bangkok and for Thais symbolizes longevity and prosperity. Also Known as Wat Phra Kaew and part of the Grand Palace complex. More properly termed a chapel as the site contains no monks' living quarters, the compound was completed in 1783 and is named after its revered Buddha image carved from a single block of jade. A temple famous for its main chapel in white Carrara Italian marble housing a replica of one of Thailand's most beautiful Buddha images. Built at the turn of the 20th century under King Rama V, it's one of the most recent of royal temples. The courtyard features 53 depictions of Buddha from all over Asia. Attending a Muay Thai bout is a must-do for sports fans seeking a quintessential Thai experience. 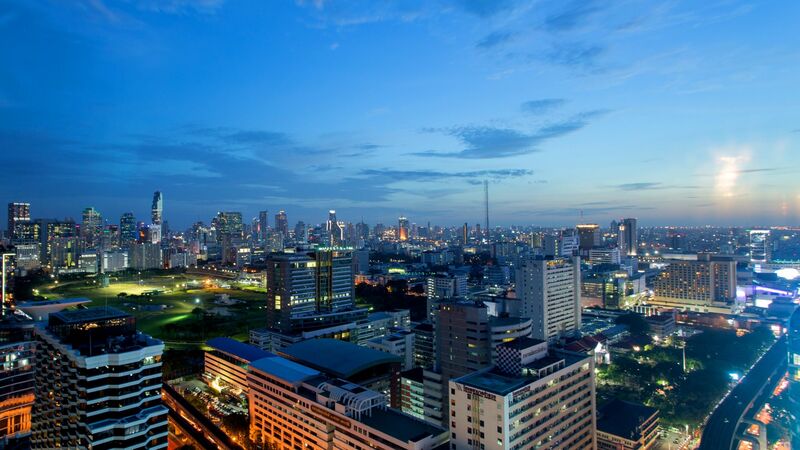 Bangkok’s two major boxing stadiums are Ratchadamnoen (approximately 5 kilometers from InterContinental Bangkok) and Ramintra Stadium (approximately 25 kilometers from the hotel). Match cards alternate between these two sites. This Thai-style house and now museum was the residence of American Jim Thompson, credited with reviving the Thai silk industry and who dissapered mysteriously in the jungles of Malaysia. Thompson built the house himself, and it is a fine example of traditional Thai architecture. The site includes a shop featuring the Jim Thompson brand's silk designs and a small café. This peaceful oasis was the home of Princess Chumbhot of Nakhon Sawan and is one of Bangkok's most delightful retreats. "Suan Pakkard" means lettuce garden, and the site was one of the first private royal residences to be converted into a museum and opened for public viewing. One of the oldest and largest temples in Bangkok, Wat Pho was built by King Rama I 200 years ago as a site for public education. The major attraction is its 46-metre-long and 15-metre-high gold-plated Reclining Buddha inliad with mother of pearl depicting the 108 signs of the Buddha. 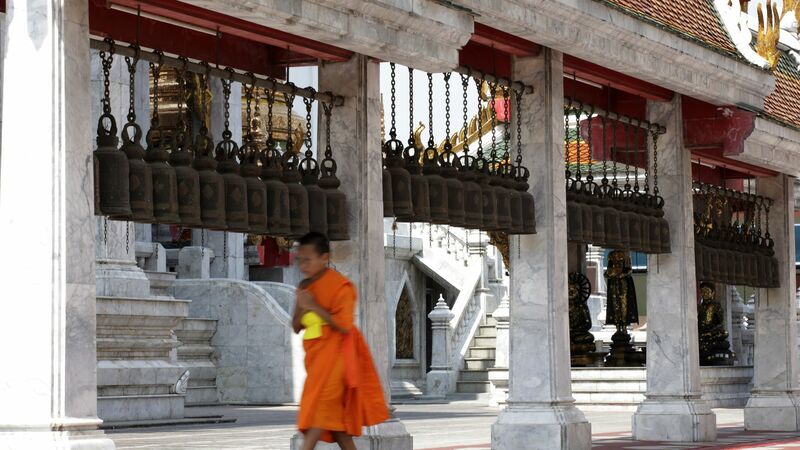 Wat Pho likewise is known for its highly regarded traditional Thai Massage school. The city's top spot for contemporary art. Among works on view throughout the building's nine stories are paintings, sculptures and multimedia installations. The performing arts get a look in too with regularly scheduled music and theatre performances as well as film screenings. BACC is easily reached as it's directly adjacent BTS SkyTrain - National Stadium Station. 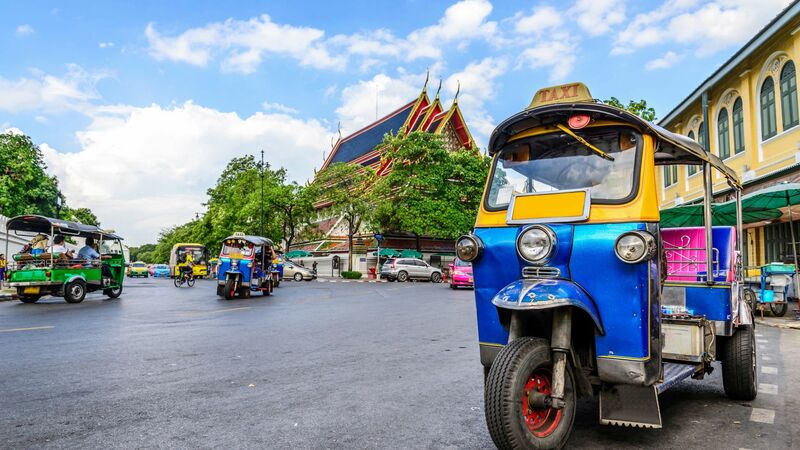 Bangkok's Chinatown neighborhood, known locally as Yaowarat, offers a glimpse into the country's Chinese heritage and chance to sample excellent food from one of manyrestaurants lining the street. Also a good place to buy gold and jewelry. The name means "Train Night Market" and there are two sites, the original by the railway near Chatuchak and a newer branch in Ratchada. The new branch is closest InterContinental Bangkok and has the same emphasis on vintage goods and eccentric, difficult-to-find knick-knacks and curios. Behind Esplanade Cineplex on Ratchadapisek Road. Experience Bangkok by boat. Chao Phraya River tourist boats depart from Sathorn Pier every 15 minutes, run all day and stop at popular attractions all along the route. One-day passes available, allowing you to travel from pier to pier on your own schedule without having to purchase separate tickets. Contact our Concierge team for more details.